The DaReadAThon ran for the first two weeks of January and focused on reading diverse books. You can find all the challenges and my TBR here. 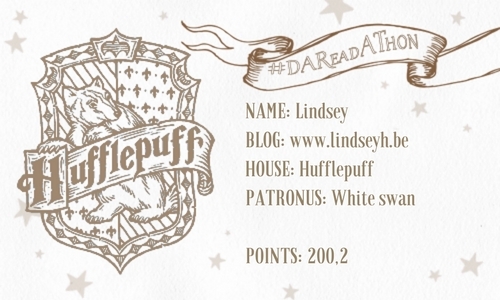 I managed to finish 5 of the 7 challenges and collected 200,2 points for Team Hufflepuff! The books I read for this readathon specifically are indicated with a * below. I couldn’t have started my 2017 reading year with a better book. 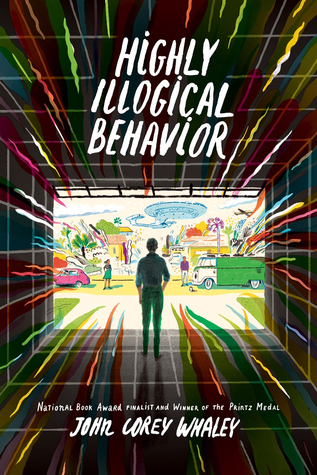 This story, about a 16 year old agoraphobe and the ambitious girl who tries to ‘fix’ him in order to get into a top psychiatry program, was amazing and completely worth the hype! Great mental health representation, a lovable main protagonist, lots of adorkably nerdy references and a big focus on friendship all worked together to give this story a place in my heart. 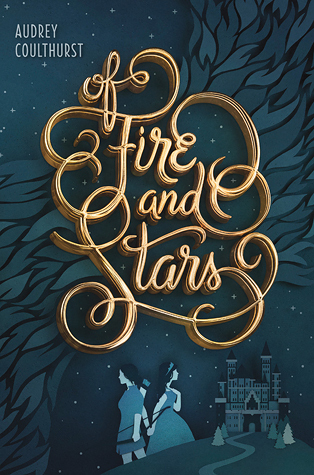 So much YES to an actual fantasy where the heroine falls in love with the princess instead of the prince because we greatly need more f/f fantasy books! The romance in this is super sweet and swoon-worthy and even though I had some mixed feelings on the character development, I did highly enjoy this book overall! I’d recommend it to anyone who is in the mood for a cute f/f romance, with a lot of horses, a dash of magic and a hint of murder mystery. 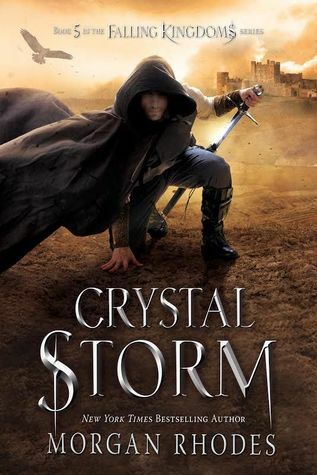 Rating: 3,5 stars | Check out my full review here. I did it! I finally stopped procrastinating and read the final part in the The Wrath and the Dawn duology! And it was quite a (magical carpet) ride! 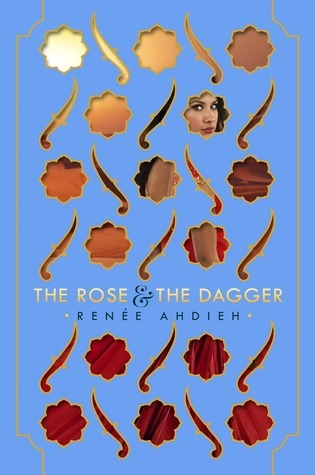 With gorgeously rich writing, wonderfully vivid characters, a romance that will make your heart sing and lots of action, adventure, magic, shock, heartbreak and swoons, The Rose and the Dagger is a great and satisfying ending. HELLO NEW FAVORITE! 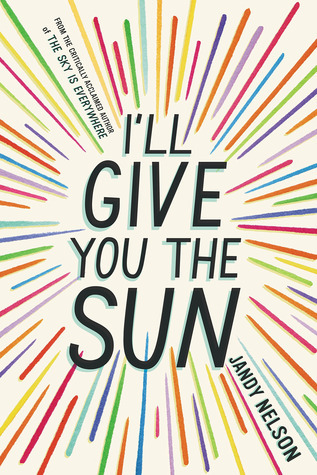 I’ll Give You The Sun was amazing and wonderful and has cemented its place in my Hall Of Faves. I ADORED this book. It pushed all the right buttons and managed to inspire me immensely. It made me feel pretty much every emotion on the spectrum and moved me so much. 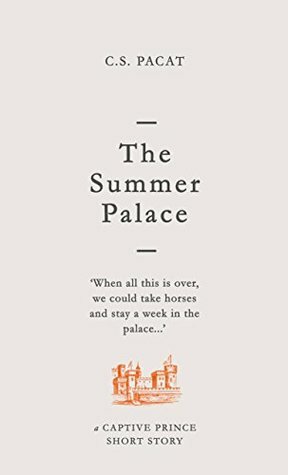 This book is a masterpiece: a story of family, tragedy, growing apart and coming together, love and loss, endings and new beginnings. And art. A whole lot of gorgeous, breath-taking, life-changing art. 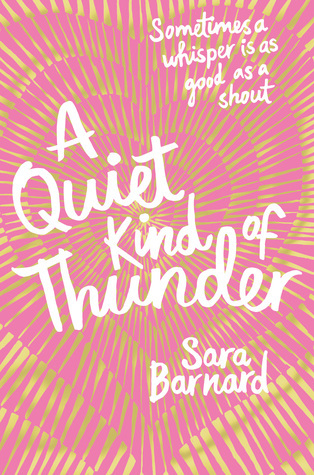 A Quiet Kind of Thunder is a super sweet contemporary about a girl who’s a selective mute and a boy who’s deaf. It’s amazingly diverse, has accurate mental health representation, positive female friendships, realistic family dynamics and a romance that is unbelievably cute and adorable. OMG, this Captive Prince novella/epilogue was everything I ever needed. The year couldn’t have started any better than with Damen/Laurent fluff. Though it’s been a year since I read the series (which I adored and is one of my all time favorites), I was immediately sucked back into the story and guess what? I missed these characters. So much. I’ve never wanted to drop anything I’m reading this much to go back and re-read the entire series. Seriously, if you loved this series, this short story / epilogue is a must. It has fluff. It has flowers stuck in hair. It has wrestling. It has bathing. It has naked shenanigans. It has Laurent laughing. So much love… But be warned: this series (and this novella) is very smutty and not for a younger audience! I love this series, even though it definitely has its flaws. I mean, the writing is not always on point, the dialogues can be pretty cheesy and there is more drama than in a daytime soap opera. BUT I LOVE EVERY SINGLE MINUTE OF IT! The characters are just too morally grey and amazing and it’s just super addictive, okay? But that cliffhanger ending will make the wait for the final book pretty rough. OH HI, ANOTHER NEW FAVORITE! 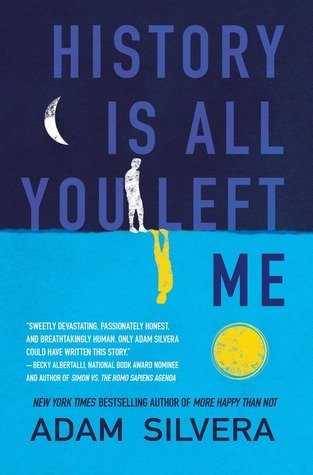 Adam Silvera is a genius. This was one of my most anticipated reads of 2017 and it outdid all of my expectations. Going into this book, you know it’s going to deal with some tough issues as it deals with loss and grief. It’s a very character-driven story and I felt pretty much every emotion on the spectrum while reading and I fell in love with every single one of these characters. Overall, I just can’t recommend this book enough. It’s a very sad book, but it balances it nicely with a lot of humor, lovable characters, nerdy references, happy memories and a hopeful outlook. Just like More Happy Than Not, it will stick with you for a long time after reading. It’s beautiful, it’s moving, it’s real and it’s raw and I will be singing its praises for a long time still. After my heart was left hurting by History Is All You Left Me, I desperately needed something to make it smile again. 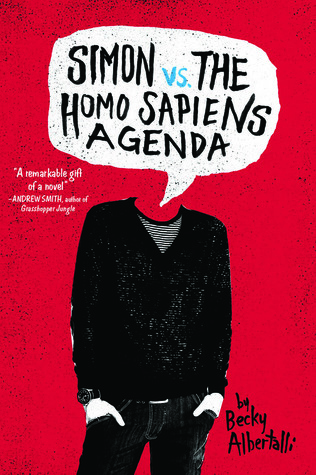 And what better than a re-read of Simon vs the Homo Sapiens Agenda? I sat down on a Sunday morning with some Oreos at my side, and read the whole thing in one sitting. Have I mentioned how happy this book makes me? A few hundred times already? Ok, but you know, this book just makes me happy, guys! I recently featured this book in my post on books that sound amazing to me but that didn’t have anybody talking about them. 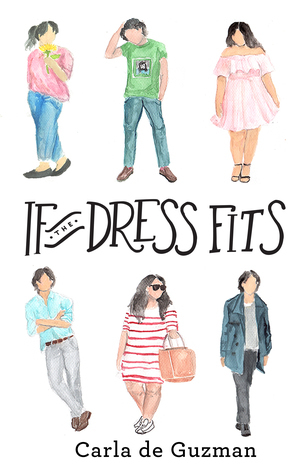 It sounded like such a fun, diverse book that focuses on body positivity and had my favorite trope: the fake date that’s not that fake after all. But… this was a big disappointment for me. Though it had its good points, the writing was full of mistakes and I just could not connect with any of the characters or the romance. I did it guys! I finally started my long-procrastinated Percy Jackson and the Olympians re-read and in doing so I am slowly but surely working on my 2017 goals. Are you proud of me? I am proud of me 😉 As expected, I still love this book. 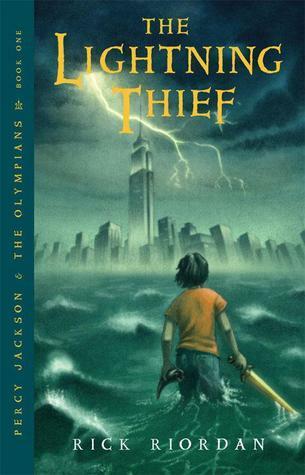 It was a little weird getting into it again at first, since it’s been ten years since I last read it, but I was lost in the world of demigods soon enough and I think it will be easy tearing through the rest of this series. Well, I thought I would re-read one PJO book a month, but… it turned out a little different because once I was back in the world of Percy Jackson, I didn’t want to quit. 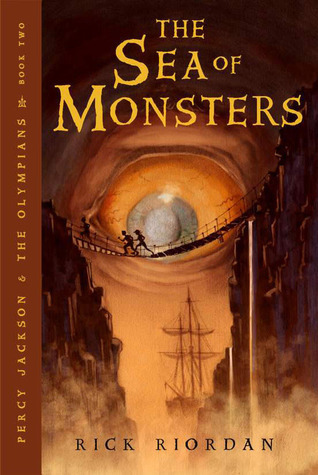 I remembered that I liked The Sea of Monsters the least of all PJO books when I first read them, but upon re-read I actually really enjoyed this one. Also, I forgot just how funny these books were but OMG, they are hilarious! 17 January 2017: Ten Books That Sound Amazing But (Almost) Nobody’s Talking About? In 2017 I’m determined to keep loving music and discover some new bands or artists. So my playlist actually has quite a few bands that are new to me, mixed in with a few old favorites. The highlight for me for January has definitely been the return of ED SHEERAN, who released not one, but two new songs! I love them both but Castle On The Hill is definitely my favorite. It has that wonderful nostalgic/friendship vibe about it, which I love. I really hope I’ll still be able to see him live someday. He’s coming to Belgium in April, but I tried for 2,5 hours to get tickets online and couldn’t get through before it was sold out so alas… I’m pretty bummed. Also, I have been really loving the new album by ONE OK ROCK, called Ambitions. I knew about them before, but didn’t actively listen to them though. But this album has won me over completely and I’m sure I will slowly but surely check out their older music as well. Yes, this little show was also in my December wrap up. You see, that was the FIRST time I watched the season. In January however, I watched it a SECOND and a THIRD time. I may be a little obsessed. I may also be in the process of creating my own Yuri On Ice Book Tag. I have no regrets. 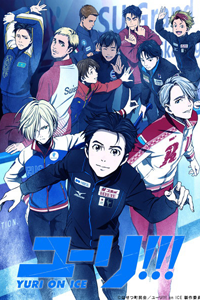 After Yuri On Ice, I was getting super intested in anime again. 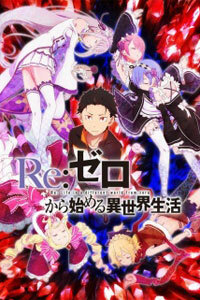 So I’ve been looking for other shows to watch and Re: Zero was one of those shows that aired this year that was pretty popular. It’s about this guy called Natsuki Subaru, who suddenly finds himself transported to another world. There he meets a girl with silver hair who is in trouble and he decides to help her. However, life in this other world is pretty dangerous and he soon finds out he has the power to return to a previous point in time every time he dies. I really like this show, it’s a perfect mix of funny, adorable, action-packed, fantastic and a little creepy. Another highly popular anime that I’ve started watching is Death Note. Now, this one is COMPLETELY different from both Yuri On Ice and Re: Zero because it is super dark, violent and creepy. And yet, I really love it as well. (Thanks Prabhleen for the recommendation!). 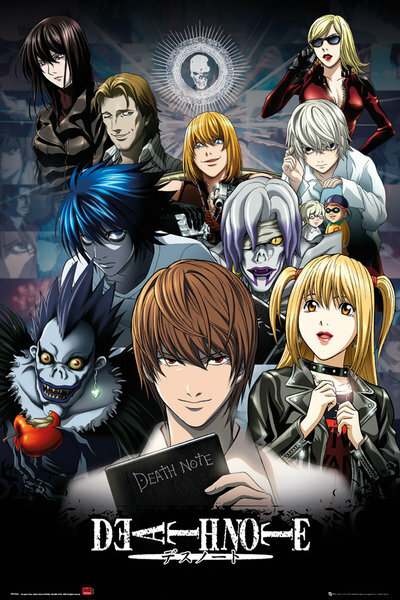 It’s about a super smart high school student called Light Yagami, who one day finds a Death Note lying on the ground, along with the instructions for it. Write any name in the Death Note while picturing the face of that person, and they will die. So Light starts using this Death Note as a way to rid the world of criminals. Soon the police is on the case and they are working with a super intelligent young detective called L in order to catch the person responsible for all these mysterious deaths. I’m actually pretty lucky because I only really got into this series last month, which means I didn’t actually have to wait two years for this season. It has become one of my all-time favorite tv shows and I really enjoyed season 4 as well. I loved all three of the episodes of season 4 and was on the edge of my seat during the last one especially. 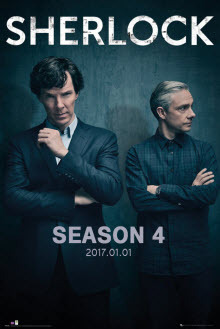 Though it worked nicely as a possible series finale, I do hope we will get at least one more season because I love the Sherlock-John bromance way too much to already say goodbye to it. I’ve been a fan of this show since the very beginning and though it definitely has its flaws, I have loved every single season since. 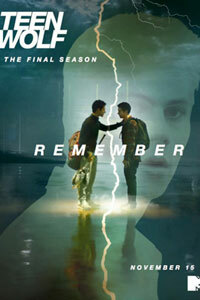 So I’m sad that this is now the final season and I’m not yet ready to say goodbye. That said, I am enjoying this season so far and am really intrigued by the Wild Hunt storyline. Honestly, this series is a pretty big guilty pleasure watch for me. 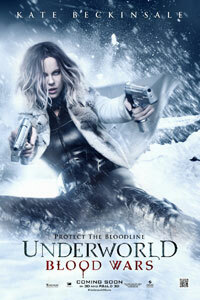 It’s nowhere near as good as the books and the acting can be a little iffy at times, but I still can’t get enough. 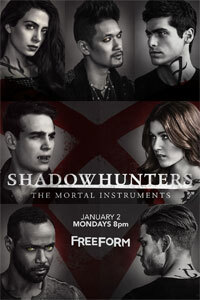 There are a lot of good things about it though: I adore the character of Simon, I love Magnus (though the Malec relationship so far was better in the books), I love the Jace/Alec parabatai bond, I love Raphael, I love Izzy and I love Alec. In line with my descent into anime madness, I watched this highly praised movie and let me tell you: IT IS WORTH ALL THE HYPE! 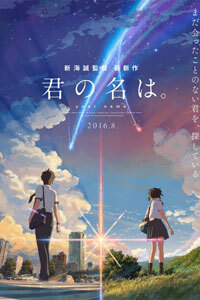 Your Name (or Kimo No Na Wa) is an anime romantic drama fantasy about two high school students who find themselves suddenly switching bodies. That’s all I can say without spoiling anything, but know that the story goes way beyond that. It’s a beautiful story that is gorgeously animated and will have you feeling all the emotions. Stuck in Love is one of my all-time favorite movies and I was especially compelled to rewatch it this month after finishing I’ll Give You The Sun. Why? 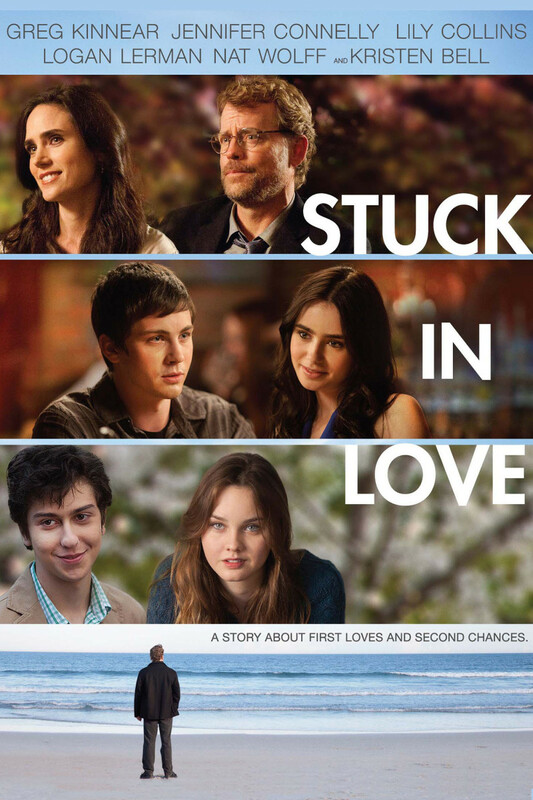 Because for me, the story of I’ll Give You The Sun and the story of Stuck in Love remind me of eachother and I love them both. We have the complex family dynamics, a brother-sister dynamic, adorable but flawed romances and an entire family who is passionate about something (In IGYTS it is art, in SIL it is writing). Both stories are incredibly inspiring to me. Plus, Stuck in Love has an Elliott Smith reference which reminded me of Simon vs the Homo Sapiens Agenda, so LOVE ALL AROUND! I went to watch this in in the cinema because I used to love the first movie. However, I didn’t remember anything of the other movies in the series so I was just a little lost at times. I liked the movie fine overall, though I had trouble with not comparing the actors to their most well-known roles. For me it was Four (Divergent) running around with Kate Beckinsale, with Black Jack Randall (Outlander) and Irene Adler (Sherlock) as the bad guys. How was your January? What did you read? What did you listen to and what did you watch? And what are your plans for February? I’m glad you are looking for the silver lining. Sometimes it helps to get you through the bad times. Hope you find the perfect job very soon! Oh, I’ll Give You The Sun was AMAZING. I so hope you’ll enjoy it! I’m so sorry about the anxiety 🙁 I know exactly how that feels. And I hope there’s some progress on the job front soon. Thanks so much Amy! 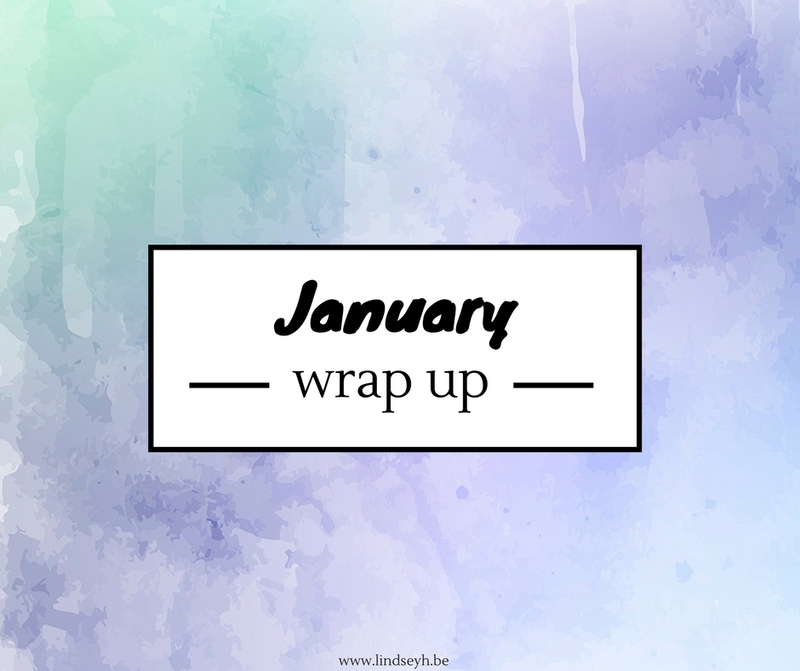 But yes, at least January was an amazing reading/movie month 🙂 Hope your February will be AMAZING! You had such an awesome reading and blogging month, this is SO great! Also, i love that new Ed Sheeran song just as well, it makes me all nostalgic ahah. Yes, Castle On The Hill is so amazing, I love it 🙂 So happy that Ed Sheeran is back this year! Haha, I so relate to your Rose and the Dagger story! It was on my shelf for almost a year as well, so I had to force myself to finally read it 😉 Hope you’ll enjoy it when you get to it! My January was just… Awful to say it in one word. Studying has just taken over my life and I read only 5 books? now the problem is that my final exams are in March, so whole February is gonna be effy as well. I hope you do feel better! I am literally having panic attacks and anxiety everyday, and I am just doubting myself since I can’t study. AT ALL. I don’t know what is gonna happen. My blog is also suffering this, but I started a bookstagram account and well I have been pretty much obsessed. Sadly I didnt like Castle on The Hill but because of you maybe I’ll give it a second chance. Shape of You has literally been my jam, I LOVE IT! And Death Note is so cool, and I love Light! But after like the 26th episode it kinda gets effy and the ending will leave you a sobbing mess.?? It's ok if you don't like Castle On The Hill 🙂 That's what I like about Ed Sheeran, he has so many different kinds of songs and there'll always be one that you can like. Shape of You is amazing as well! Ah I am on episode 16 now, so I still have a way to go, but I also accidentally spoiled myself on what happens in episode 25 and I think I'll already be a sobbing mess then 🙁 But I love it anyway! Lindsey! What an awesome wrap up post. I was meant to be continuing with my TBR for #FantasticallyDiverse but I ended up picking up The Rose and The Dagger last night instead. Whoops! I couldn’t not after reading The Wrath and the Dawn last week!!!! I’m desperate to start Falling Kingdoms soon. I’ve heard too much good stuff about it but for some reason I just haven’t been able to get to it ever! I’ve even borrowed it from the library – TWICE!!! I’m sorry to hear about your anxiety and the ongoing job hunt. I hope that February is successful on that front! Hope you’re having a good week and look forward to catching up more on your blog! Di @ Book Reviews by Di recently posted…Book Blitz & Giveaway!!! PNR, Urban Fantasy & Dystopian Party! Oh, I totally understand how you would want to dive right into The Rose and the Dagger after finishing The Wrath and the Dawn 😉 Haha, that happens, but I do hope you’ll get to Falling Kingdoms soon! Oh and I’ve been loving my Percy Jackson re-read, definitely worth it 🙂 Thanks, I’m hoping February will be good as well! Have a good rest of the week!